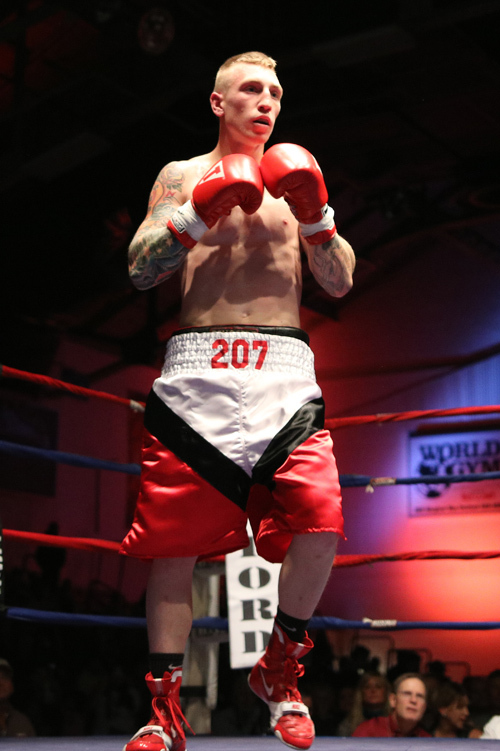 FOR IMMEDIATE RELEASE: Lewiston, Maine (June 1, 2016) – Just one day removed from the announcement that Russell Lamour, Jr. (13-2, 6 KOs) would make his debut on a New England Fights (NEF) card, the fight promotion announced that Lamour’s teammate Casey “The Buzzsaw” Kramlich (4-0-1, 2 KOs) would also be featured on the “NEF 24: PROMISED LAND” professional boxing event. On June 18, 2016 at the Androscoggin Bank Colisée, Kramlich will face Zenon “K-Bar” Herrera (0-1) in a four-round super welterweight contest. Along with Lamour, Kramlich trains at the Portland Boxing Club in Portland, Maine. Kramlich, to date, has yet to taste defeat in the boxing ring as a professional. Earlier this spring, Kramlich handed Boston’s Jason Kelly (5-1) the first loss of his professional career on a fight card in Salem, New Hampshire. He dominated the first two rounds of the fight before the previously-undefeated Kelly was unable to answer the bell to open round three. Last fall, Kramlich fought to a draw against Antonio Chaves Fernandez (6-23-2) on a card in Portland, Maine. It is the only mark outside of the win column on Kramlich’s record. On June 18, Kramlich plans to add another notch to that win column at the expense of Zenon Herrera. Zenon Herrera is one of only a small handful of athletes to have competed in both the NEF MMA cage and the boxing ring. Herrera made his boxing debut last fall in a losing effort to Tollison Lewis (2-1). On June 18, Herrera will be looking for his first win in NEF. He is a veteran of both the United States Army and Marine Corps, having served a combined nine years between the two military branches.